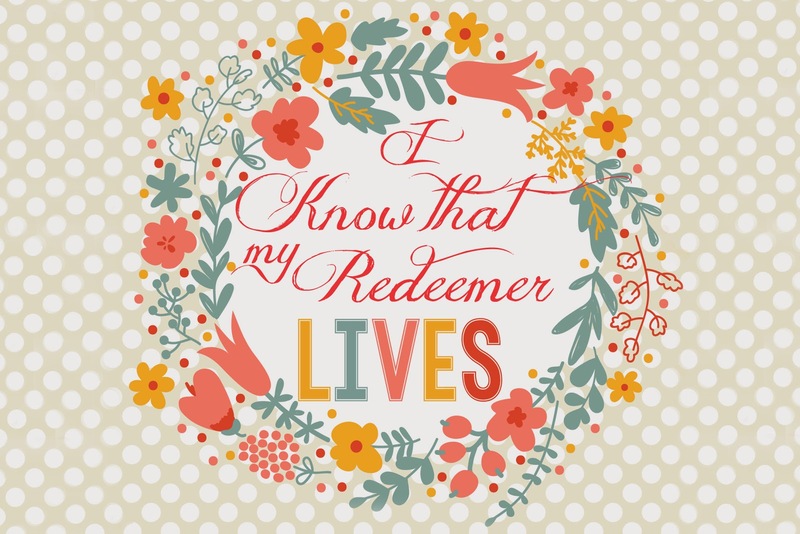 I found this adorable background from HERE and turned it into a fun little Easter printable, it's set to a 4x6 (because I couldn't find any Easter printables that were 4x6 horizontal!) It's just meant to be a small little reminder of the reason we celebrate such a big holiday. Hope you enjoy! Just click on the image and once it's bigger, right click and save it to your computer. 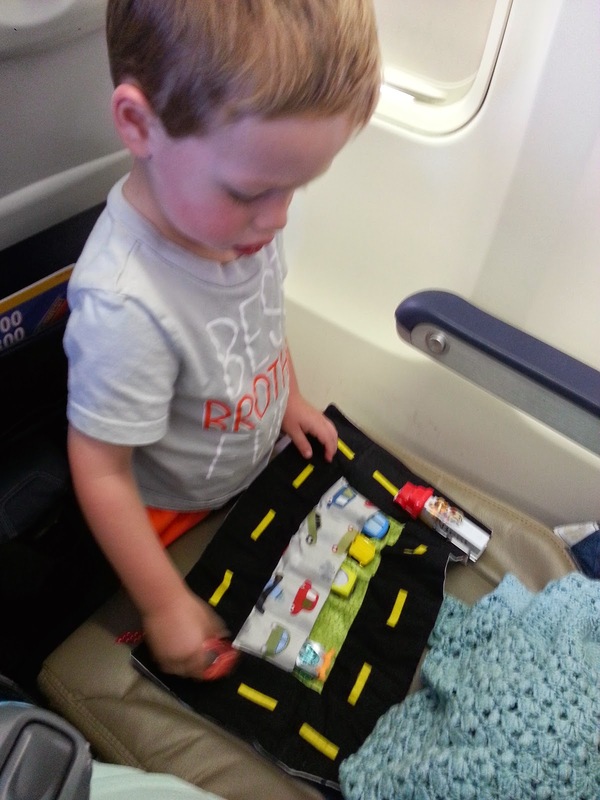 Have you seen those cute little carriers that have a bunch of slots for crayons and they roll up? I made one for my sweet girl not too long ago for church, and it got the "wheels" in my head turning, I needed something like that for my son and his cars! Max is a little (a lot) obsessed with pretty much anything that goes. So we need to have cars with us all the time. I think we've come up with the perfect solution! Here's a tutorial on a little car carrier I made, I hope you enjoy it! 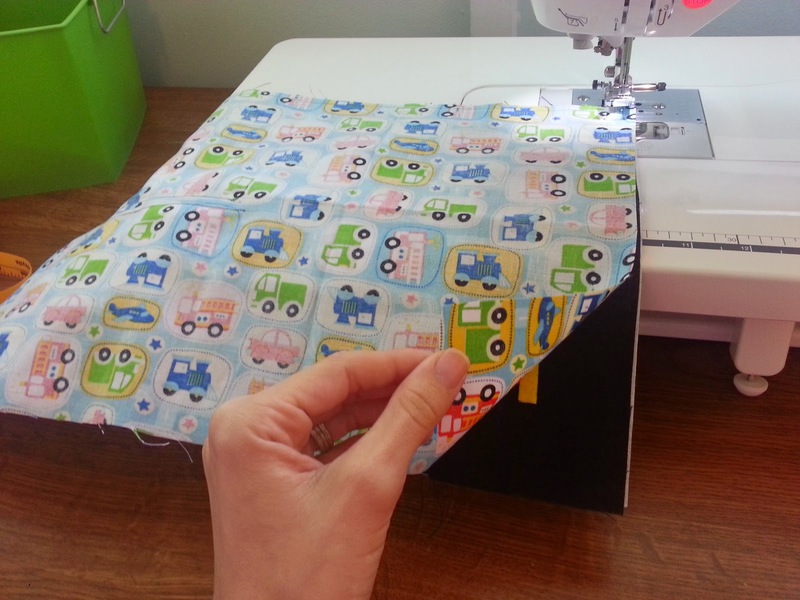 Fold car fabric piece (5.5 x 10.5) in half and put the raw edges at the bottom and line up with polkadot fabric. 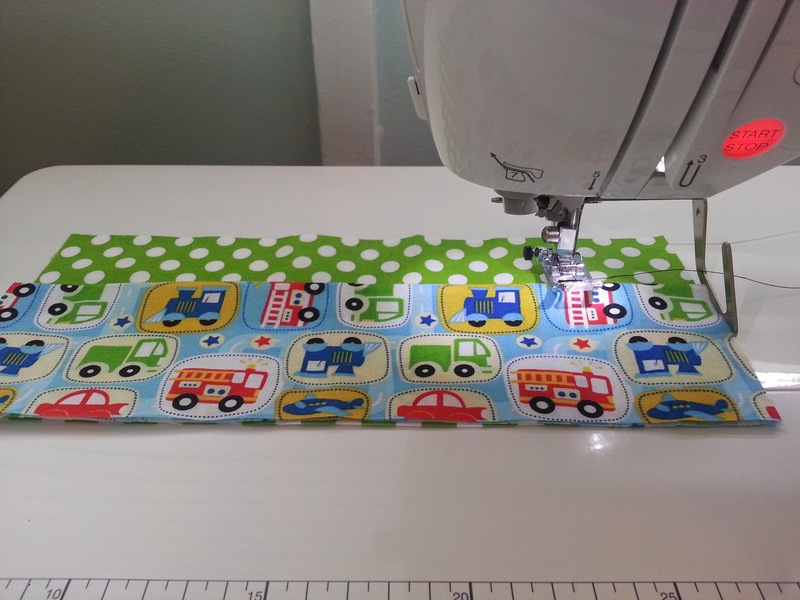 Set a gauge to make sure you are sewing exactly at 2 inches from the last line sewn. 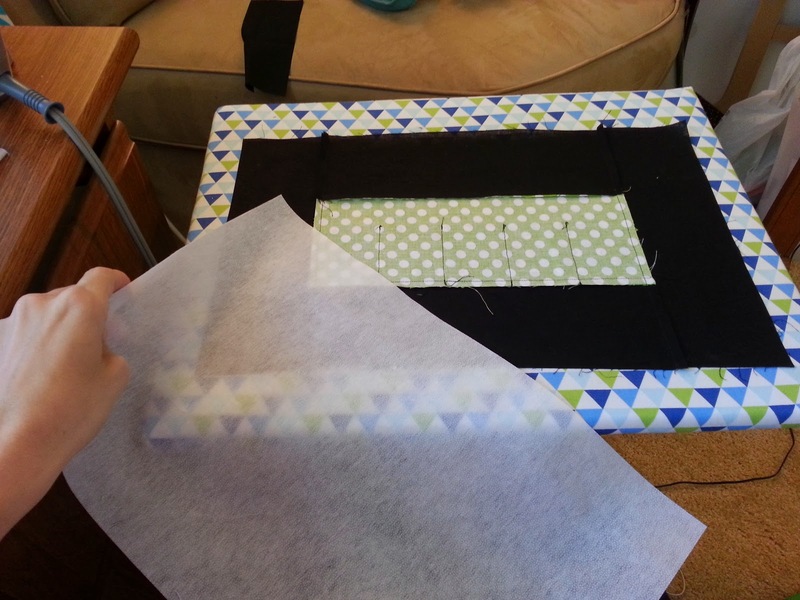 (see image below) Sew 4 lines from the top of the car fabric to the bottom raw edges. This will make the car pockets. 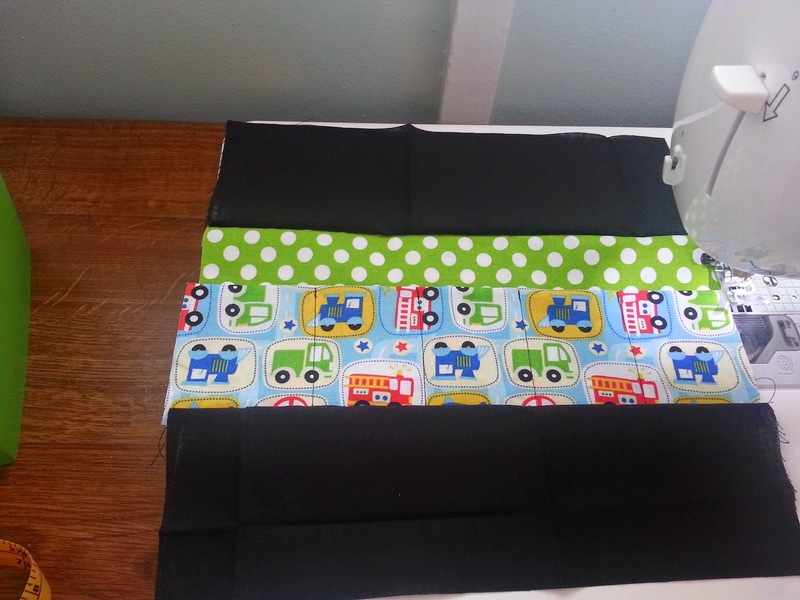 Next sew your black strips to the top and bottom of the car pocket piece. Then sew the right and left sides to the pocket piece as well. 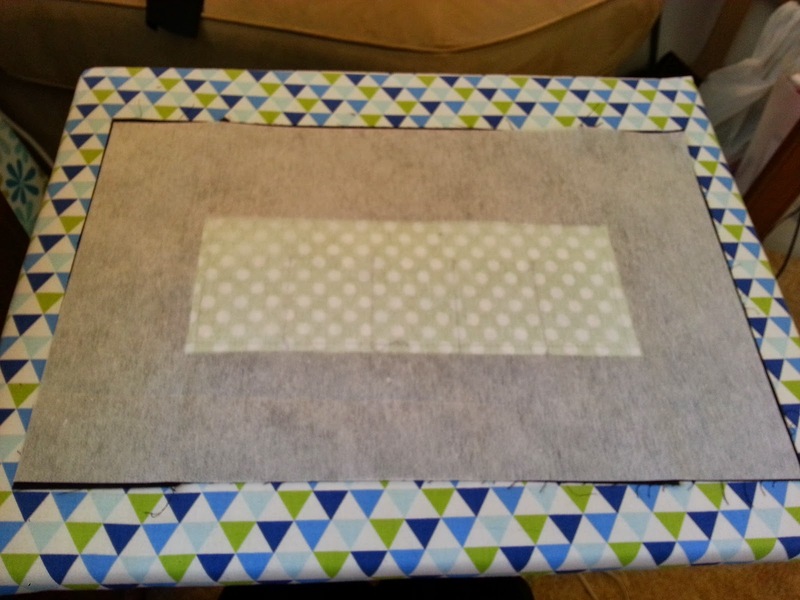 Iron on some fusible interfacing to your felt and cut into small strips for your road. 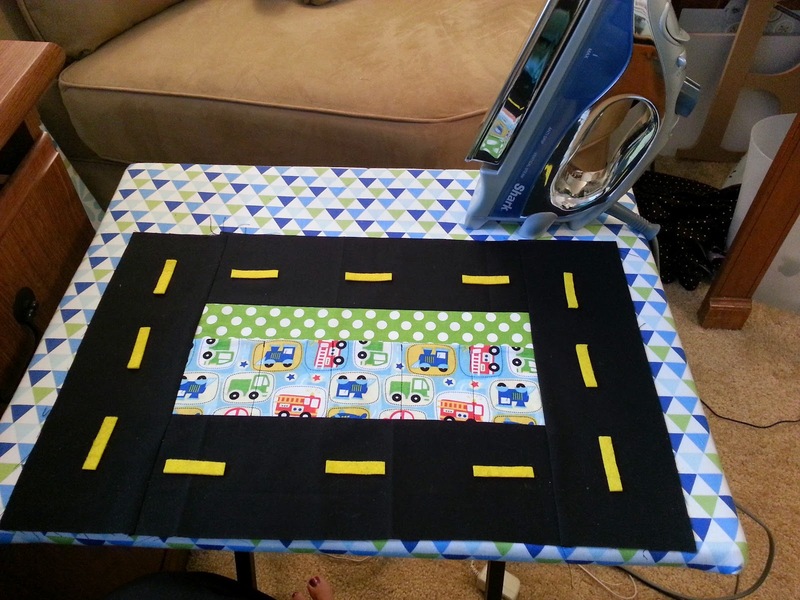 Iron your felt road pieces onto the road. 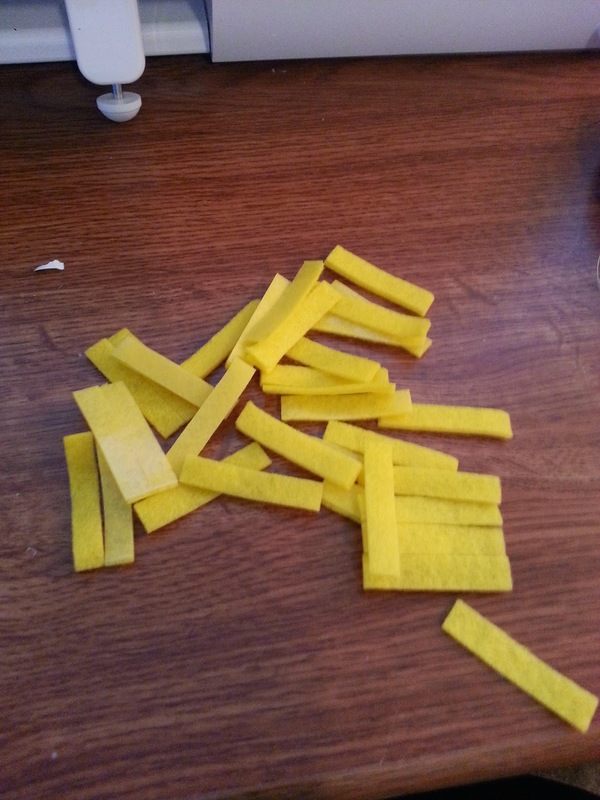 If you don't have fusible interfacing, you could probably hot glue the felt on as well. 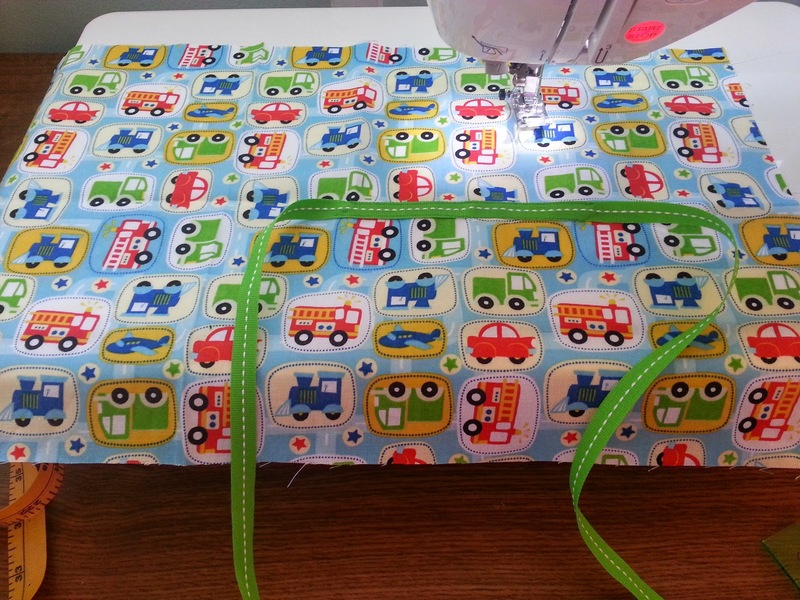 Next, put your piece of heavy interfacing on the back of the car pocket and road and iron on. This will make the car carrier a bit more sturdy. 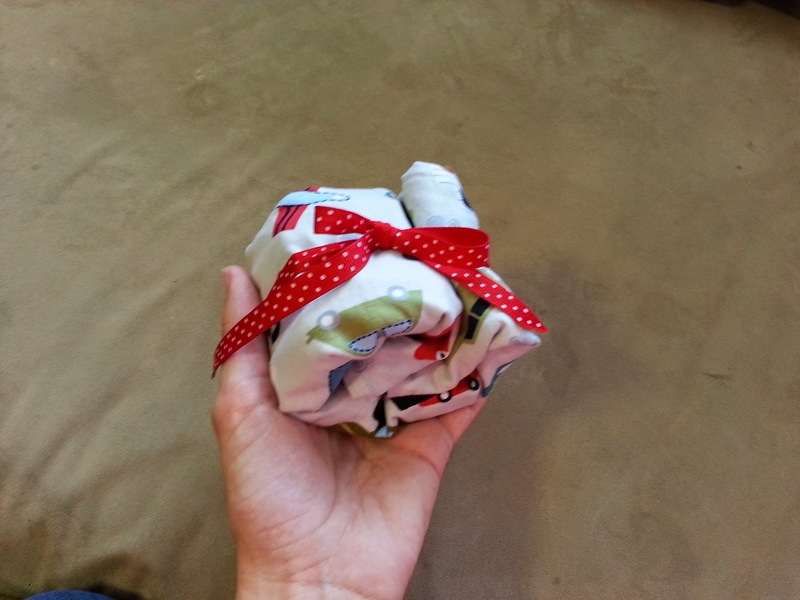 Find your outside piece of fabric and fold your car carrier in thirds, check where you want a ribbon and sew the ribbon about 5 inches in place. 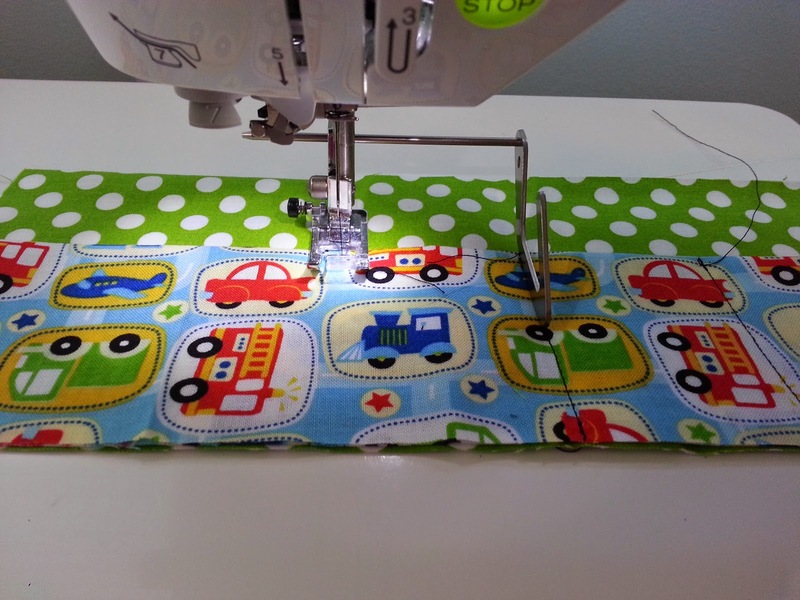 Then take your large car fabric and sew right sides together to your road and pocket piece, leaving a hole about 2.5 inches big to turn it right side out. 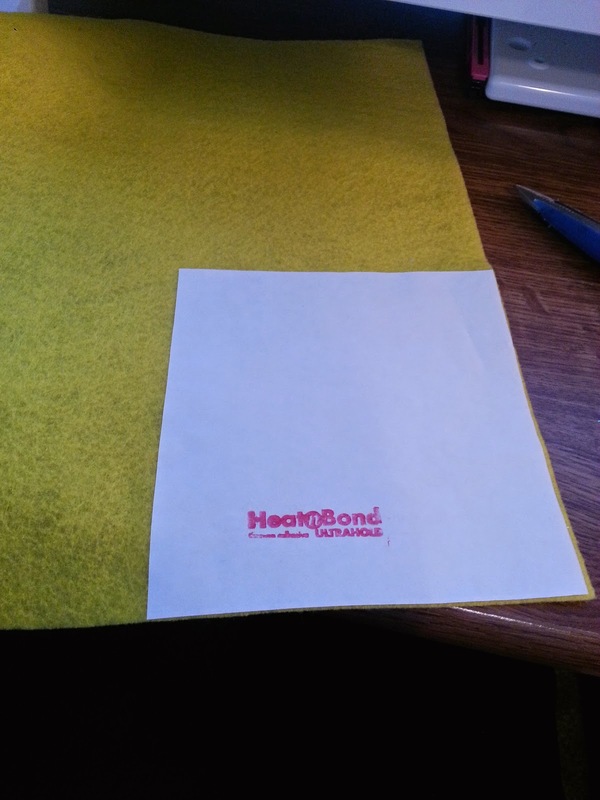 After you've turned it right side out, stick someting in there (like a pencil or pen) to make the corners pointy and then fold under that 2.5 inch hole and sew that baby shut. Now that it's finished you can load it up with cars, fold it in thirds and roll it up! 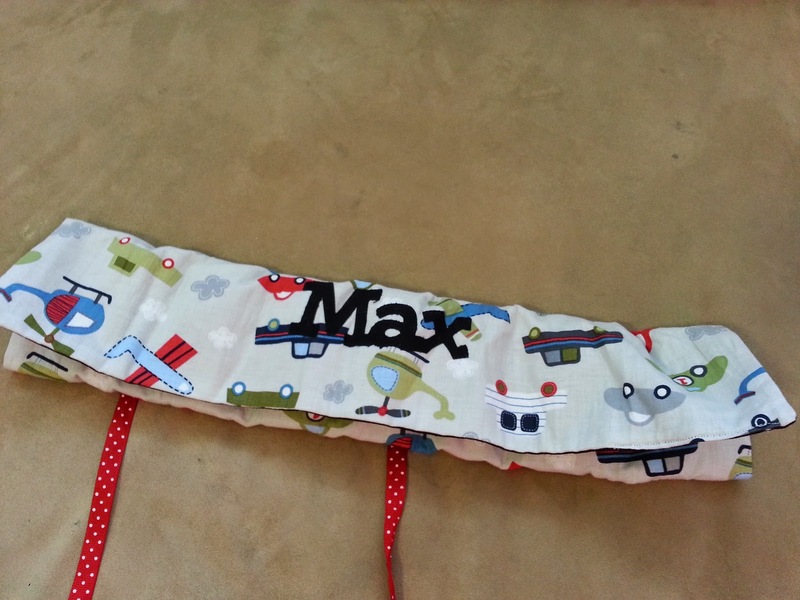 I cut out my sons name in fabric with fusible interfacing and ironed it on because I made a few of these for friends at church, we didn't want the getting mixed up! 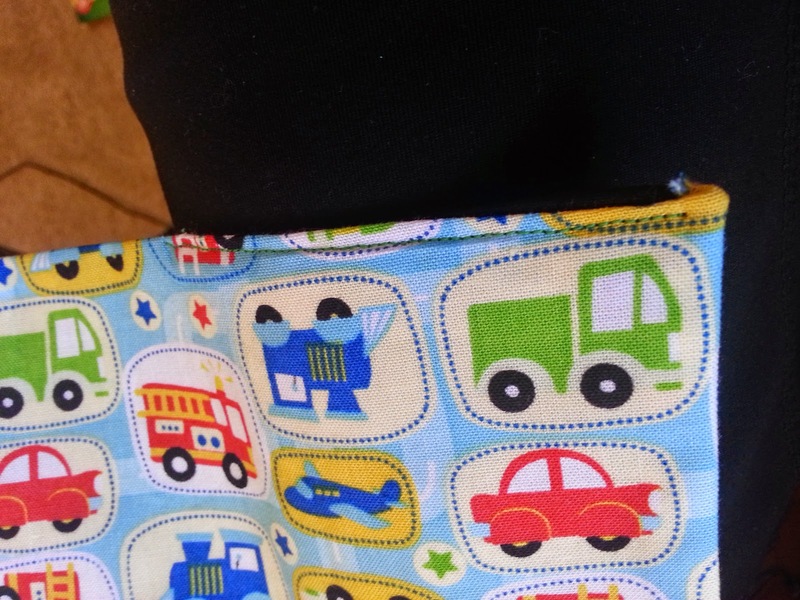 Pefect size for a purse, diaper bag, or your church bag! No more searching the bottom of the bag for box cars! Hopefully this will make your toddler as happy as it's made mine. 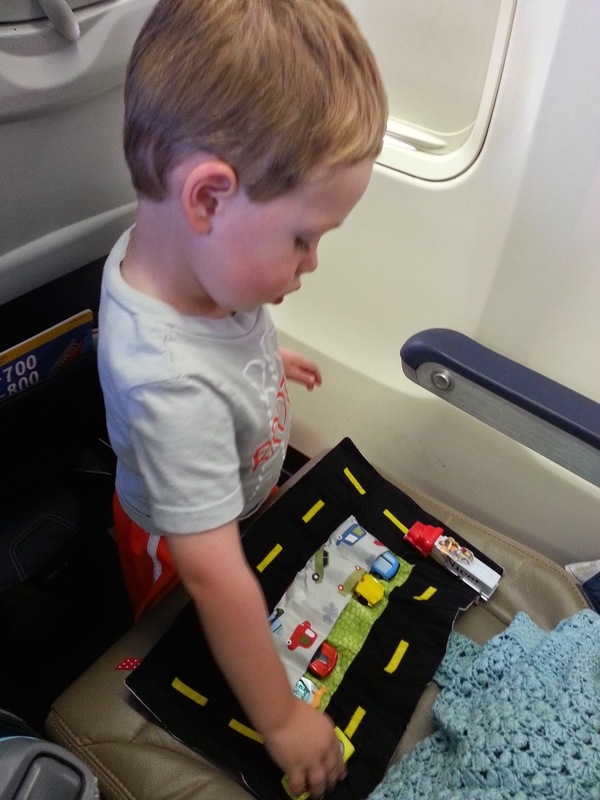 He loves to put the cars in their parking spots, take them for a spin and then park them again. It's so fun seeing the imaginary play going on! 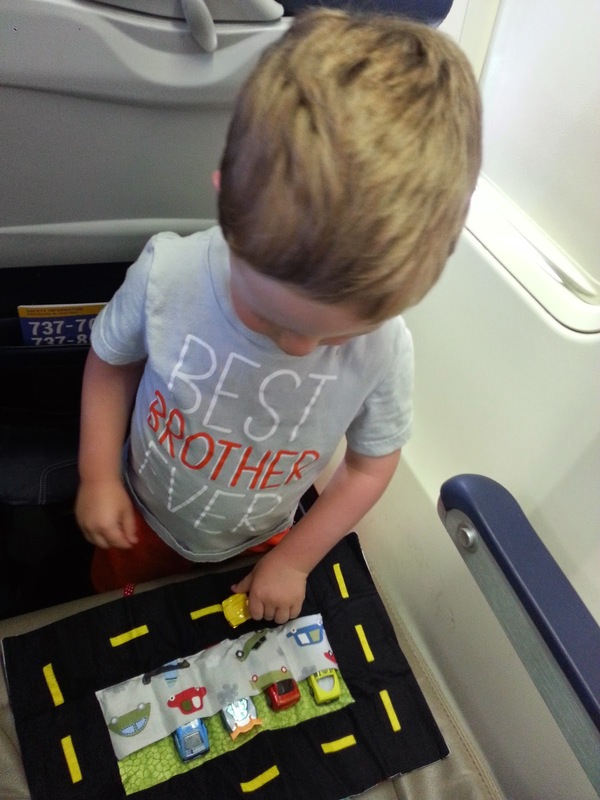 These pictures were taken while we were on an airplane... as you can see, it works awesome for sitting in tight confined spaces! 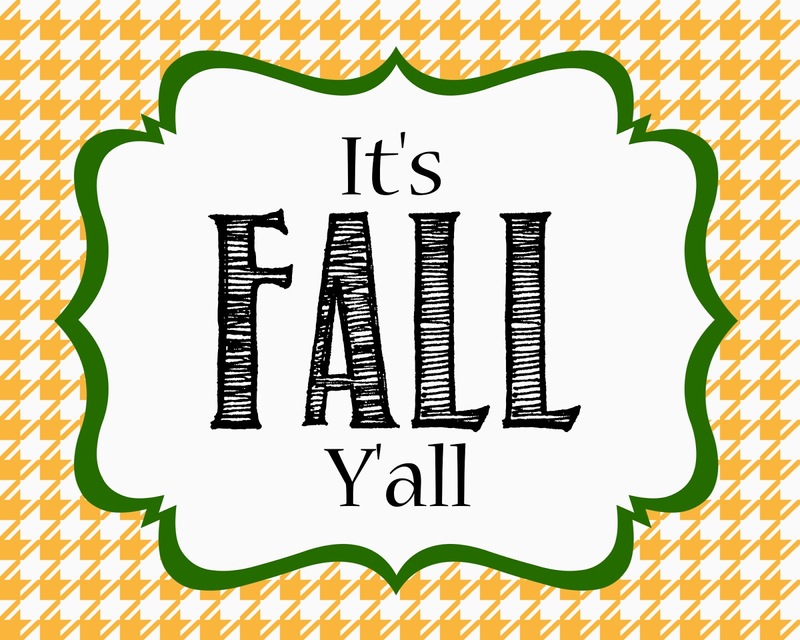 I have some great friends who say "y'all" often, I love that they say it and for some reason, fall just makes me think of that funny word! (maybe because it rhymes) So I hope you enjoy this happy free fall printable! Simply click on the image and "save as" onto your own computer. It's an 8x10 image. Size can vary depending on your need for this blanket. 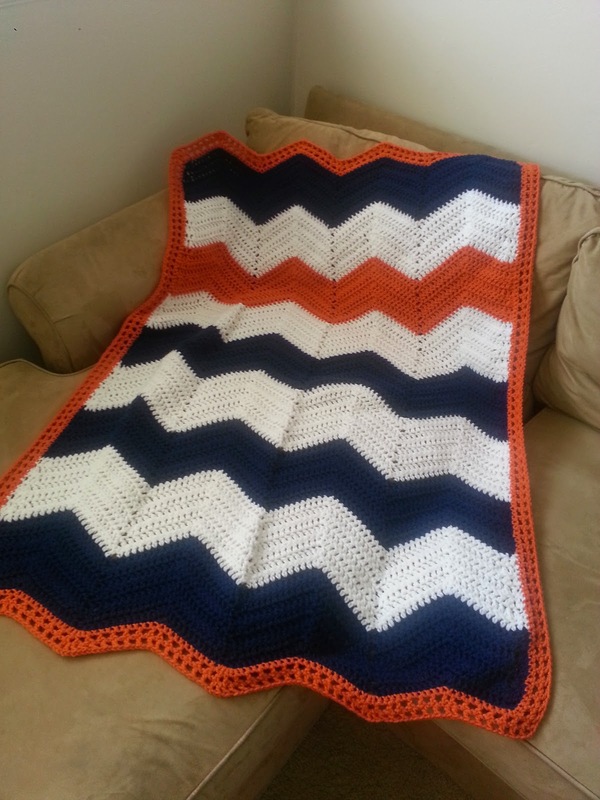 For baby afghan using red heart “love” yarn, I chained 100 to create the navy and orange blanket, and 125 to create the gray and green blanket, for each peak. in the blanket chain 25.
to make sure this blanket turns out right, there needs to be 11 stitches between each peak and valley. In each peak there are 3 stitches, make sure each time you do the 3 stitches, you are doing them in the middle of the 3 stitches from the previous peak and it will end up straight. Row 3: turn and skip first stitch then dc in the next. dc2tog once, then do 8 dc in each stitch making sure there are 11 stitches up to the first peak. 3 dc in the next stitch. (3dc should be in the top and middle of the 3 dc from the previous row.) dc 11, skip 2 and then do special (carlie) stitch and dc 11 then repeat from * pattern till the last 11 dc in the row-After you do 3 dc in the same hole dc in the next 8, then dc2tog and end row with two more dc. Chain 2 and turn. repeat row 3, 4 more times for a total of each color having 7 rows then change color. border on green and gray blanket is two rounds of double crochet. in the peaks and valleys do the same thing as the rest of the blanket, skip two in the valleys or add 3 in the peaks. in the corner, double crochet, chain 2 and double crochet in the same stitch to make a square corner. for the square boarder in navy and orange blanket dc around blanket once, then in the corner, chain 3 up to next row- pattern is to do dc, chain 1, skip next stitch, dc, then repeat all the way around, don’t skip a stitch in the valleys and in the peaks do this pattern of “dc, ch1, dc” twice to keep the peaks and valleys going. Hello friends! 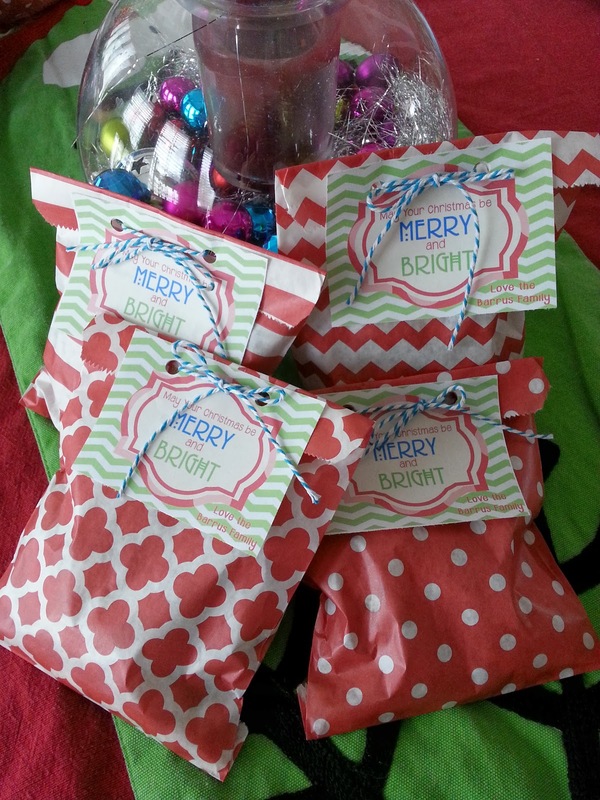 I've invited a sweet friend here to share with us a special project she has been working on all year. This is Layna! She is going to teach us how to make some darling sock monkeys! Hi! 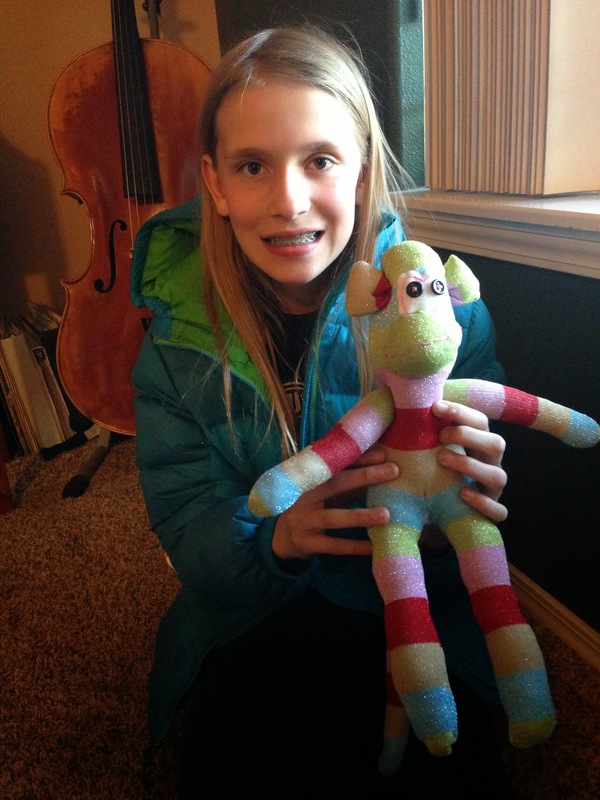 I'm Layna, and I am doing a year long school project on learning how to sew sock monkeys! 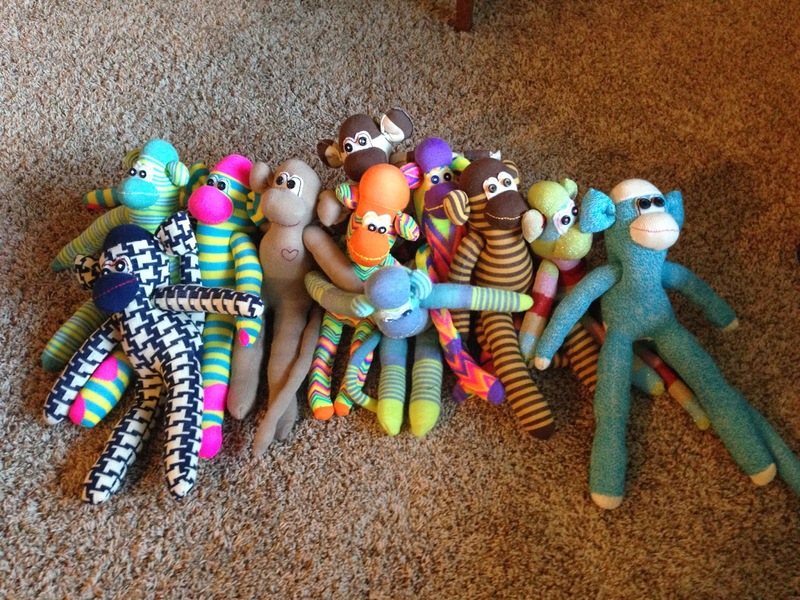 I am planning on donating all of the sock monkeys I make to children in need or at the hospital. Turn the socks wrong-side out and iron them. One sock, iron with the heel facing up. 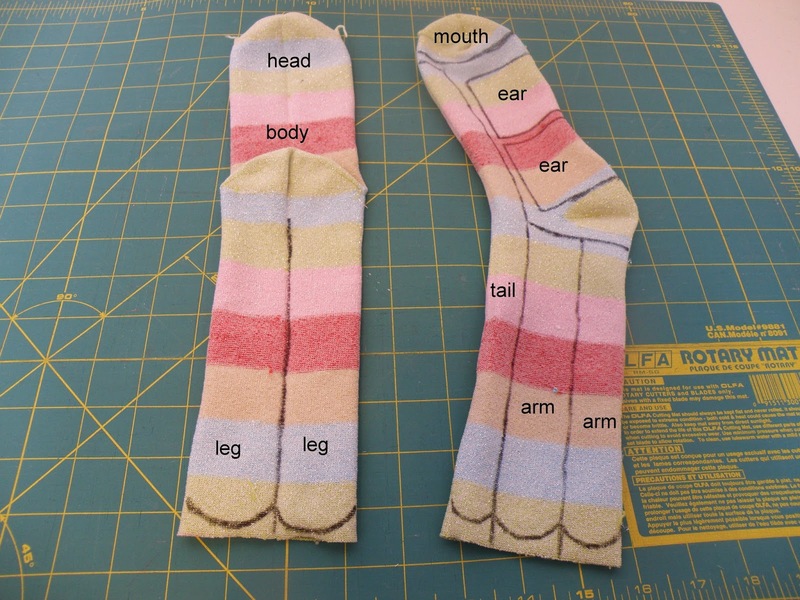 Draw the lines for the body parts of the sock monkey with a marker on the socks. Next, sew seams using the marker guides. Sew your seams on either side of the marker line, about 1/8 inch. Your marker lines will end up to be your cutting line. Cut out the body parts of the monkey following the marker lines. With the sock that has the heel facing up, sew almost to the heel. Then when you cut it out, cut a ¼ of an inch beyond the seam. This will give you a hole to be able to turn the body right-side out. Next, stuff the body with Poly-fil batting. You can fill it to be your desired firmness. Slip-stitch the opening of the body shut using the ladder stitch. Sheen cotton yarn) Sew them onto the body. 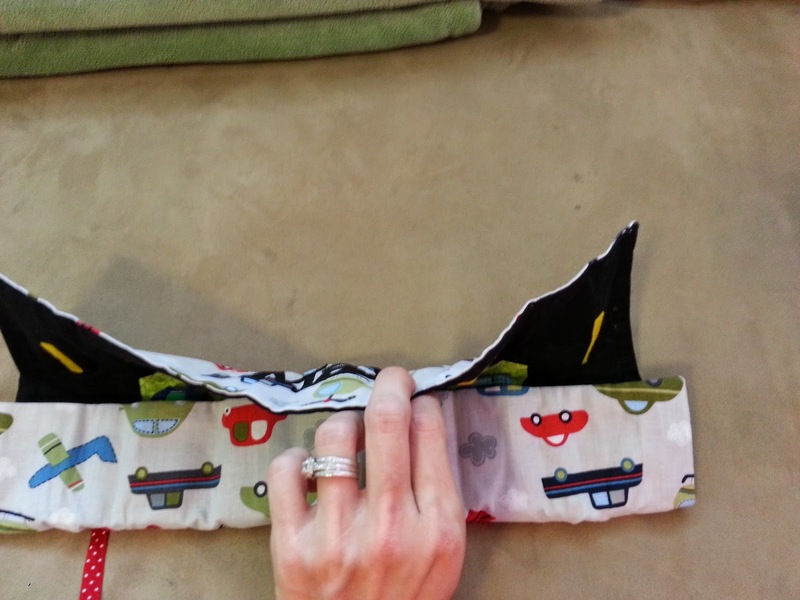 Tie off the ears, and fold over the bottom two corners to make the ear canal. Then attach them to the body. Use white felt and embroidery floss for the eyes. Sew on the buttons, and sew the eyes onto the monkey. Sew the embroidery floss onto the monkey’s mouth, and attach the mouth just underneath the eyes. Leave a gap, and stuff the mouth. Then slip-stitch the mouth onto the body. Overlap the mouth on the felt for the eyes by a 1/4 of an inch. Your sock monkey is done! If you're wondering after basting a stitch and then pulling it into a ruffle and then sewing over that ruffle if there is a better way... there is!!! If you haven't purchased one already, or discovered you have a RUFFLE FOOT in your sewing stash of accessories, check again, because this thing is amazing! 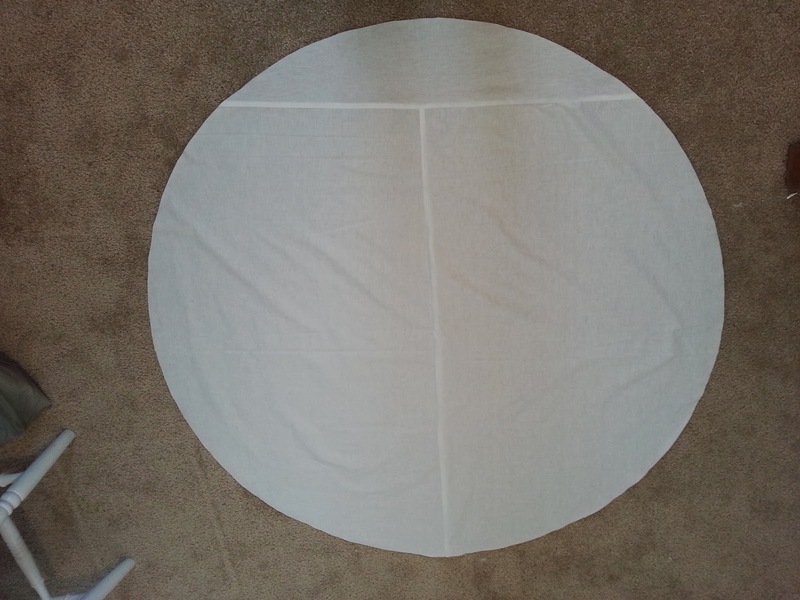 Simple Tutorial: I bought 115" wide white muslim at walmart for 6.00 a yard! 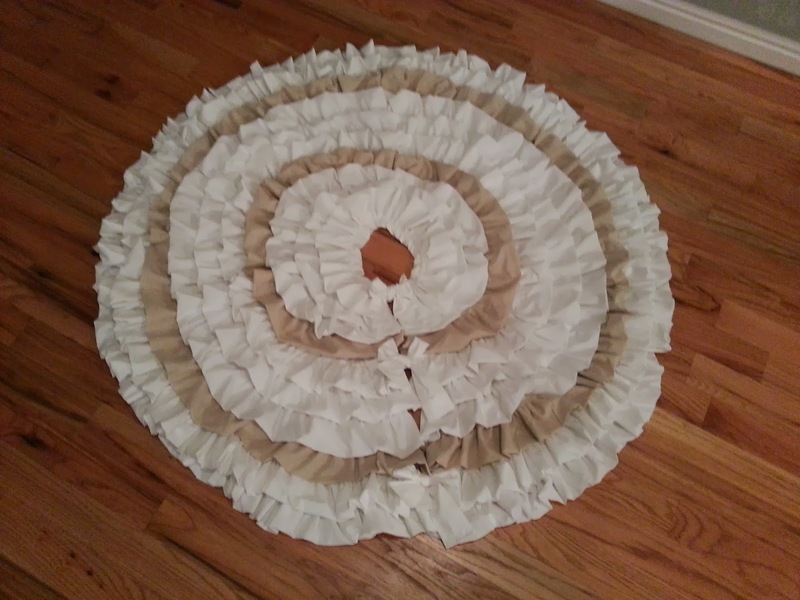 I cut the fabric into 8" wide strips, sewed all the strips together, then folded them in half, popped in my ruffle food and ruffled all the white at once! 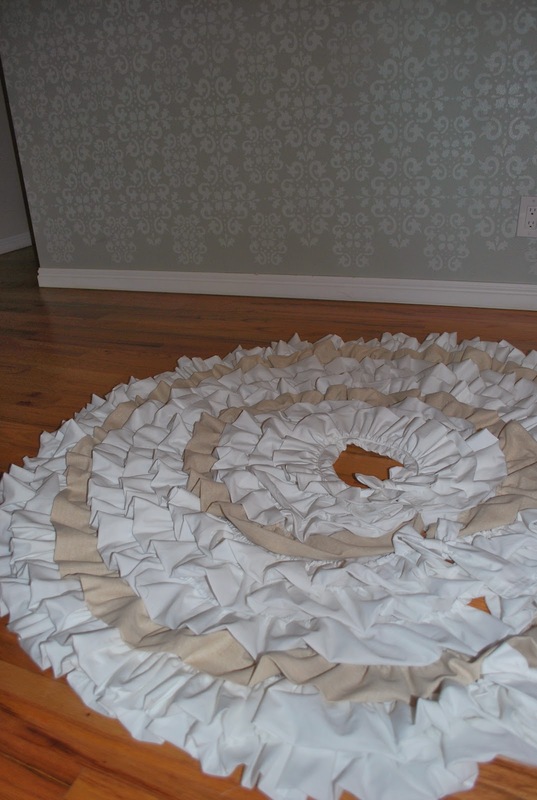 Then I pinned it in circles around a white circle, (you could use a round table cloth if you wanted) and then sewed it all together. It was really simple, and I love the way it turned out! 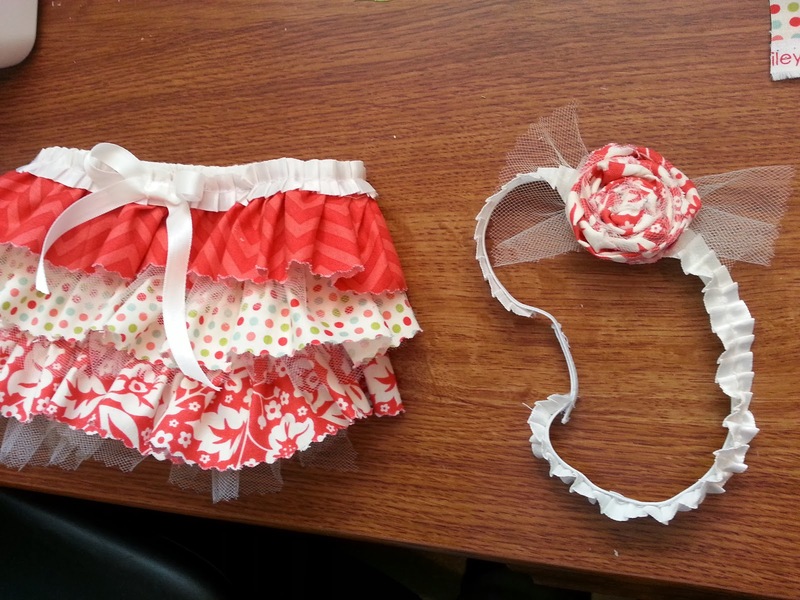 Ruffle Bloomers, pretty easy, I just got a 1/8 yard of coordinating fabrics, ruffled them, and sewed them onto some white bottoms that came with one of my little girls dresses. She wears tights so we never use the bloomers, this was a great way to re-purpose those! 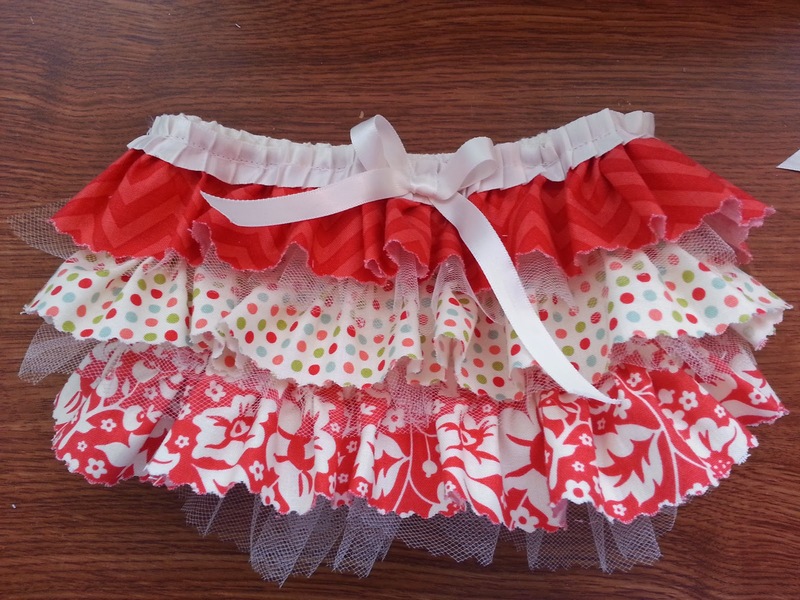 Ruffle crib skirt! This was so easy and I love the way it turned out. I bought a king size sheet from walmart for $8.00 in the solid aqua color, then a yard of the coordinating print for a 1.50 a yard! 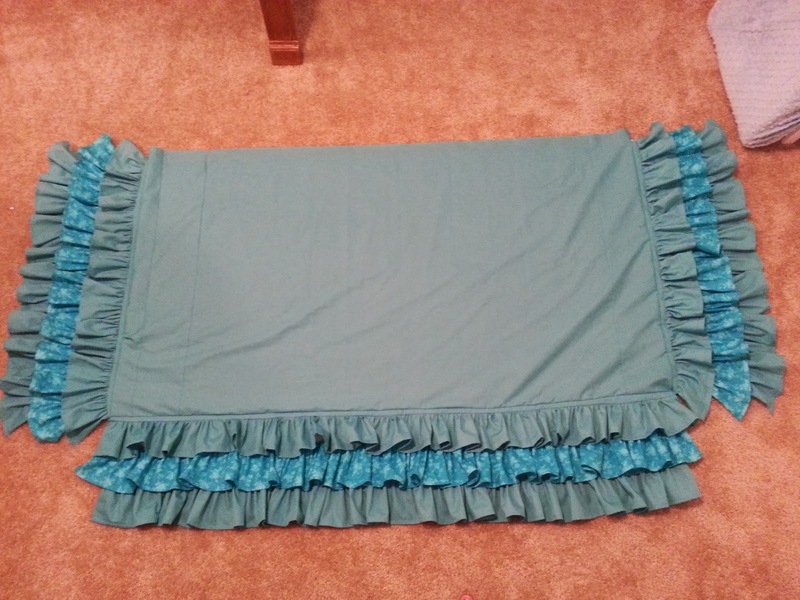 This crib skirt cost me less than $10.00 to make and turned out darling I think! Speaking of DARLING... 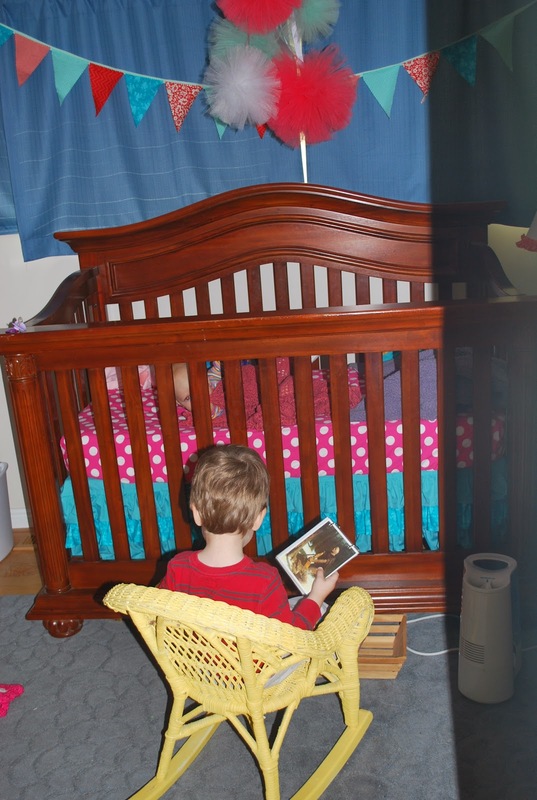 Here's my 2 year old reading to my 6 month old while she was crying in her crib one day. 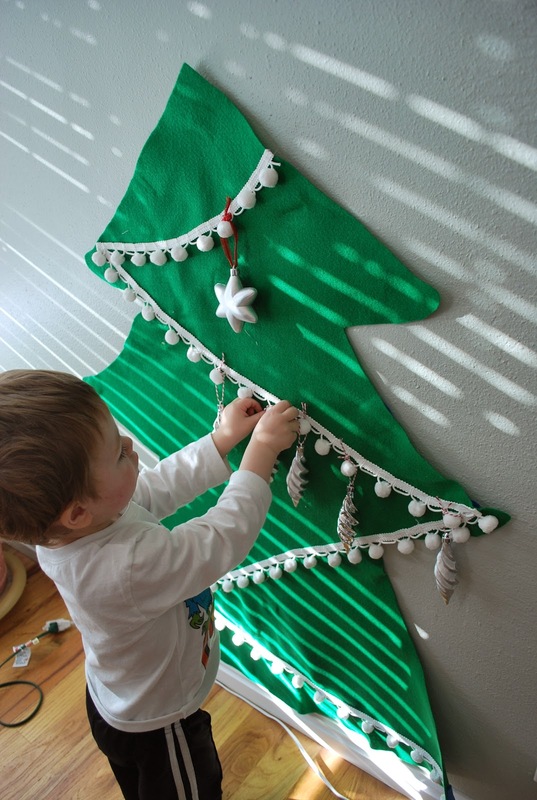 You can see the crib skirt in this picture, but that really isn't the cutest thing in this picture is it?! I made a few things during Christmas this year, many of which I was wishing I had finished in July but you never really think about Christmas in July! 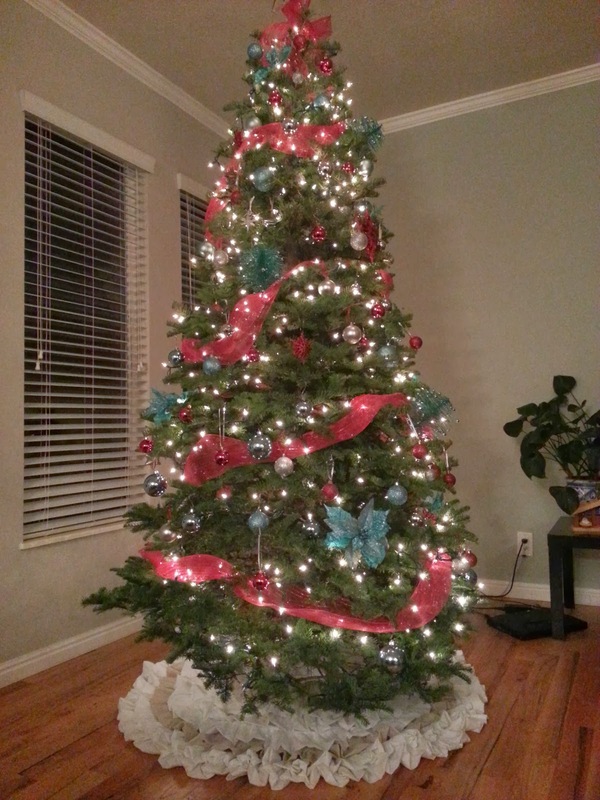 The first and most time consuming was my tree skirt. I started with a big round circle of fabric. 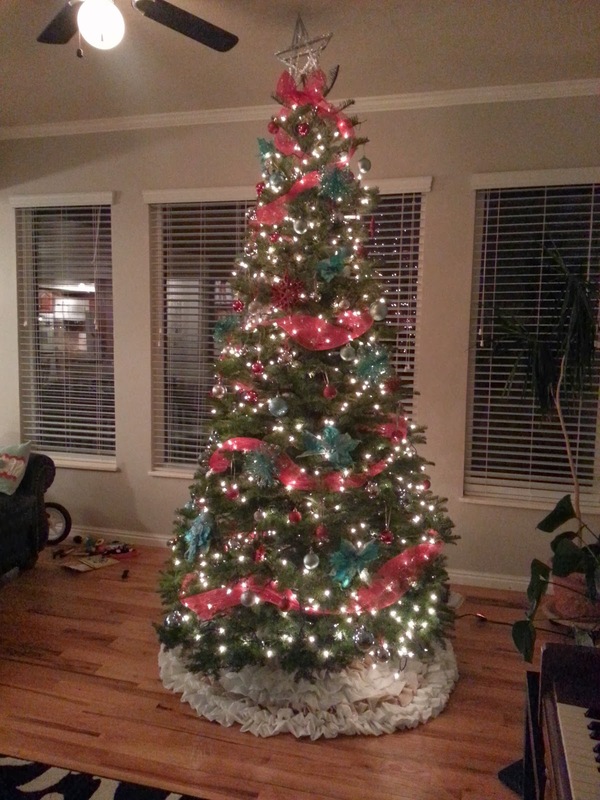 Then I bought 115" wide fabric and I cut it into 8 inch wide strips, sewed them all together to make one HUGE long strip, then I folded the fabric in half and put my ruffle foot to good use! It flew together pretty easy after that, I pinned each layer on, sewed it onto the skirt and praised my ruffle foot all the while! I can't imagine how much time that thing saved me! 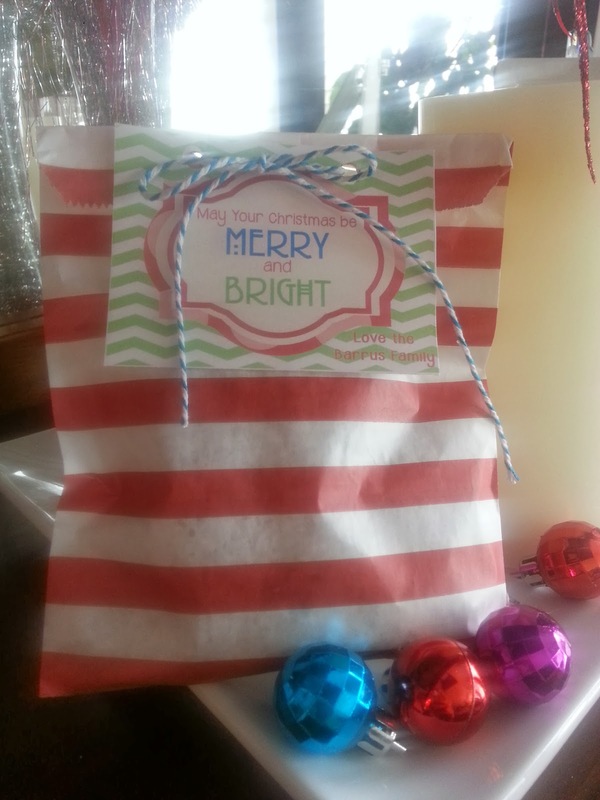 Our neighborhood treats this year were put together in these cute bags from pick your plum. I designed the tag and tied them together. Turned out cute I think! Oh, and the treat... my great grandmothers toffee recipe. It's soooooooo good! 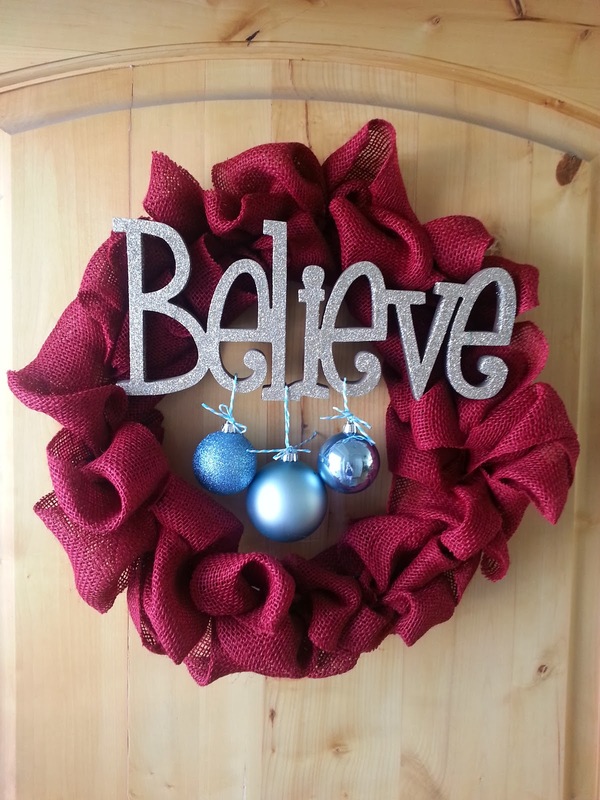 I made this wreath for my front door, again, another wreath for my ugly wreath collection! 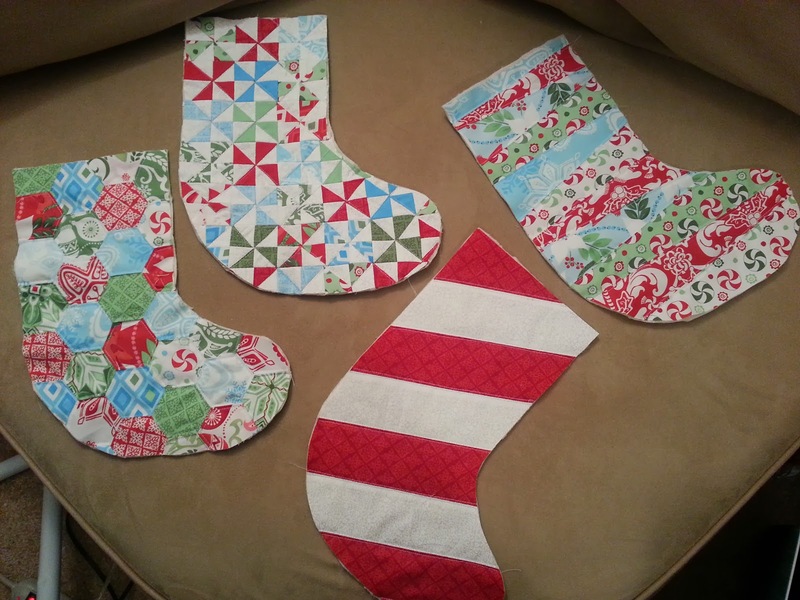 My quilted stockings. I never took a picture of the finished product! Lame! So these are kind of a sore spot for me. I have spent HOURS making these things, and when they were all finished, they turned out a bit too small. I am going to have to re-make them and I am dreadig it! They turned out cute still, but what a sad ending!